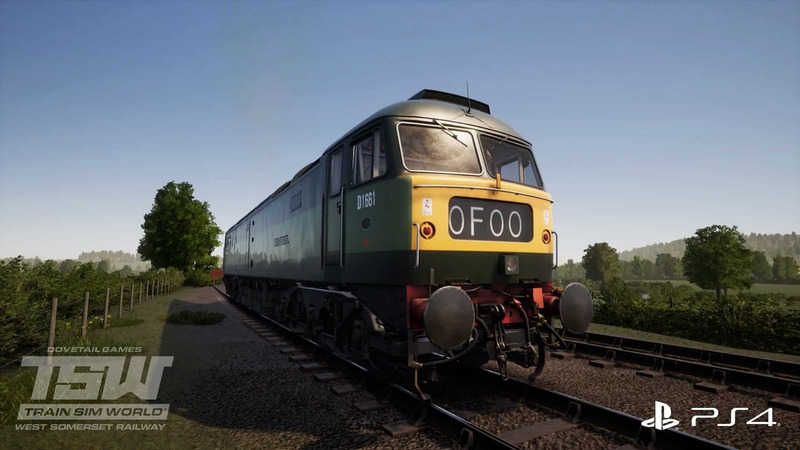 Feel the power of the mighty BR Class 47, including West Somerset resident D1661 ‘North Star’, as you take passengers on a trip to stunning yesteryear! Take for a spin the no-nonsense BR Class 09, including resident D4107; a derivative of the famed ‘Gronk’ diesel shunters that worked proud in the Southern Region of British Rail. Soak in the sun, sights and sounds as a passenger. 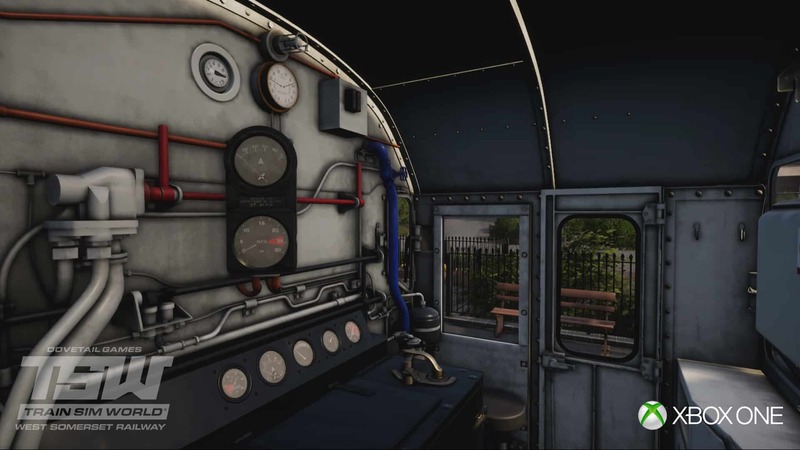 Spawn at your preferred station, catch the next train and enjoy the luxury offered by the rakes of preserved Mk1 coaches. Go exploring while in-between duties or waiting for a train. 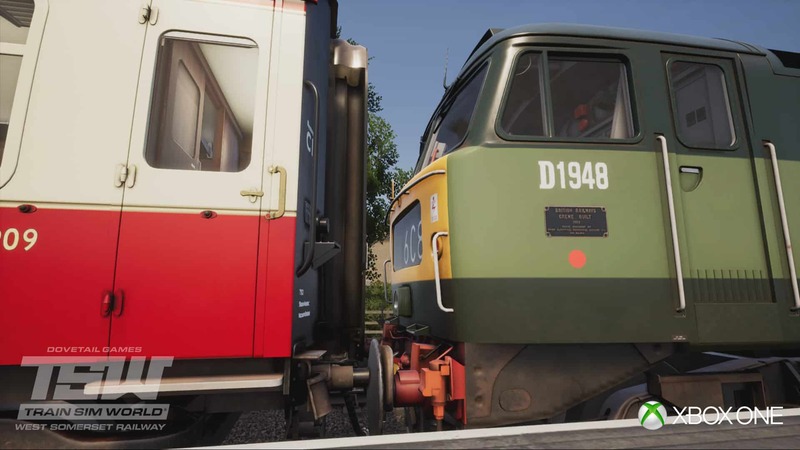 Go for a walk around each station, seek out the best trainspotting locations, and line up that once-in-a-lifetime shot. Turn things around using the recently installed turntable at Minehead. 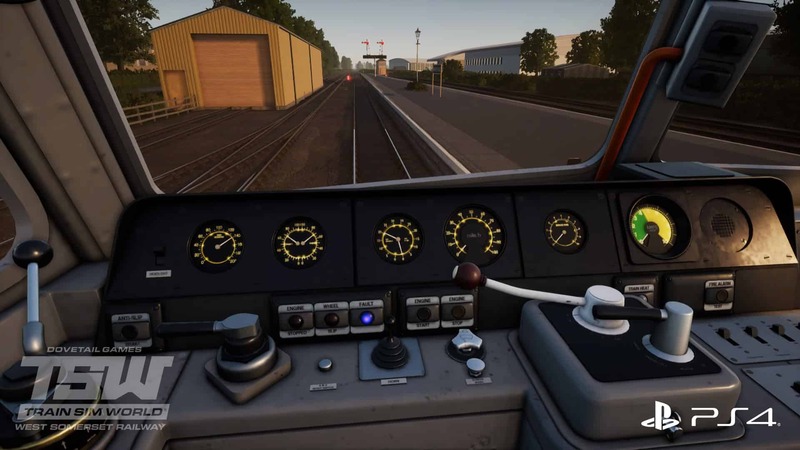 Drive your locomotive on board, set the brakes, hop off and walk to the turntable console from where you can proceed to go right round. 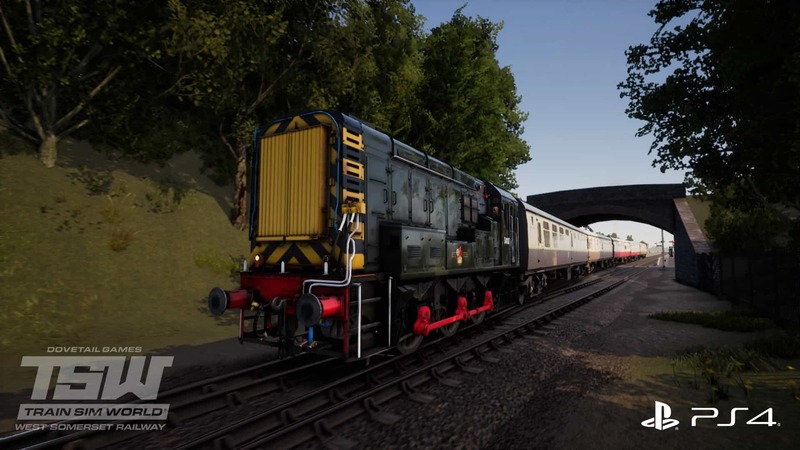 Catch a new perspective by holding onto the BR Class 09’s front handrails as it moves around; hop off, change points as necessary, or just get a train’s eye view of scenic West Somerset. Go on a hunt for the 60 collectables scattered across the route. There are ‘West Somerset’ posters to place, Fire Buckets to fill, Lamps to pick up and Milk Churns to place. Put on a performance by demonstration shunting across the route with the BR Class 09. Travel between stations and assemble rakes of coaches – make sure the correct coupling type is set before coupling up! Run-Around operations are a key aspect to daily service on the West Somerset Railway. At the end of the line, you will be tasked with uncoupling and running around the coaches in order to prepare for the next trip. After a long day, everything needs stabling before nightfall. This is quite the different duty as all the passengers have enjoyed their day and are now homeward bound, the rails are entirely your own. 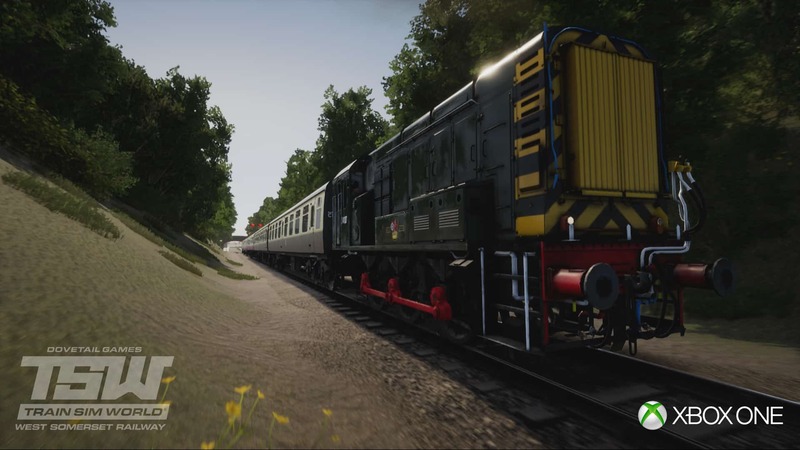 All these experiences, and more, are now within your grasp, as Train Sim World: West Somerset Railway is out now for PlayStation 4 and Xbox One!